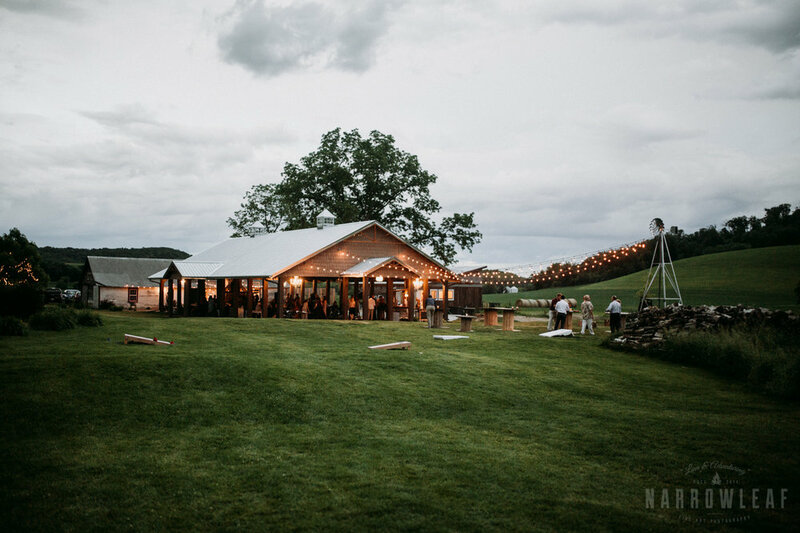 With a stunning backdrop of the rolling hills, Marissa & Zack broke the mold of the traditional Wisconsin outdoor wedding with this unique octagon barn & adjacent rustic outside ceremony spot at The Hidden Meadow & Barn in Pepin, WI. 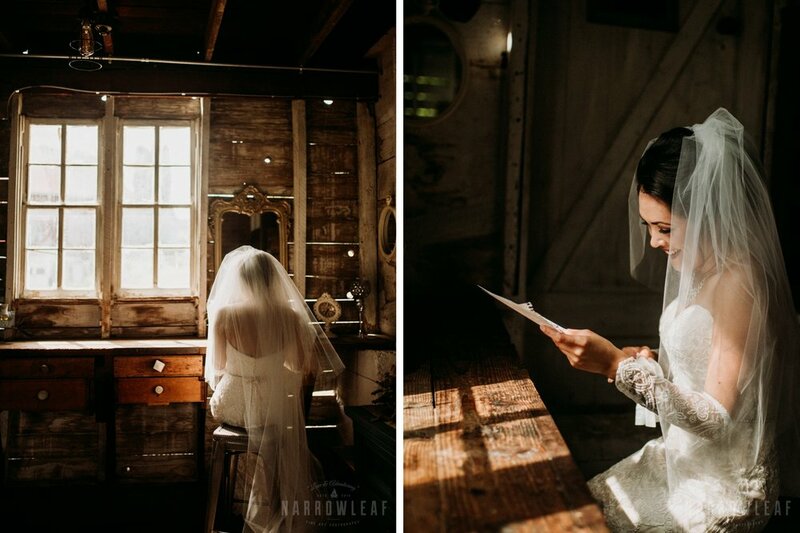 Lined with tall stained glass windows, log benches, a large set of wooden doors & a crystal chandelier, Marissa & Zack shared their vows of eternal love! 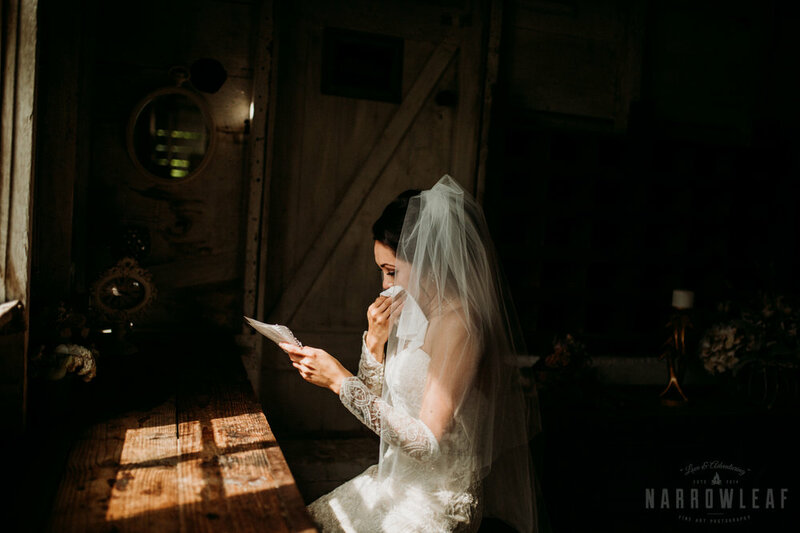 Flowers by Avice did an incredible job with Marissa & the girls's soft colored wild flower bouquets. 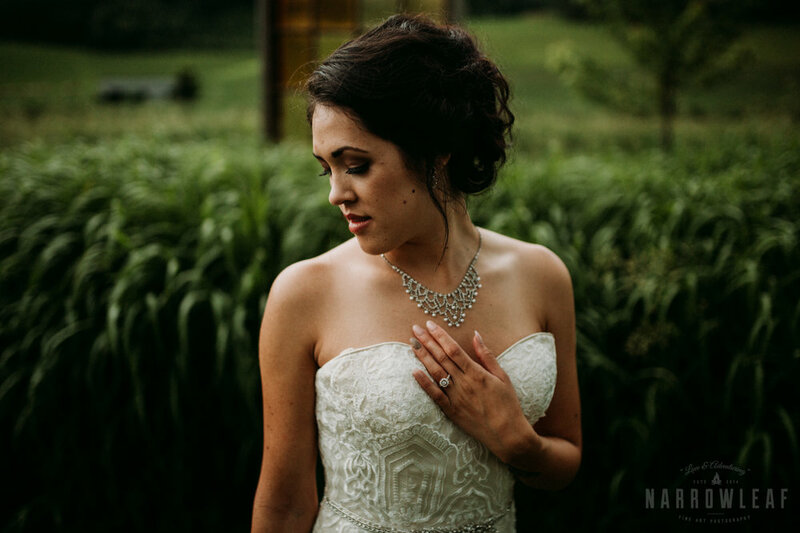 And Heather from Custom sewing by Heather, made the most elegant lace half sleeves that really tied Marissa's chic bridal look together! 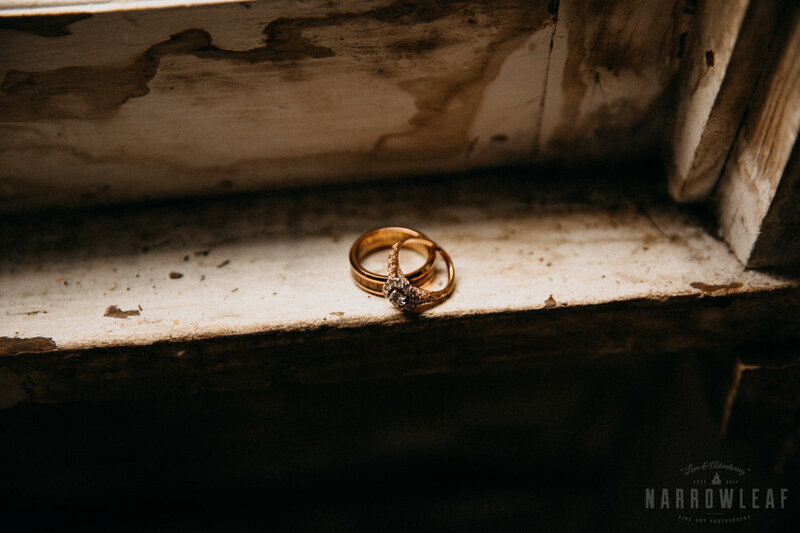 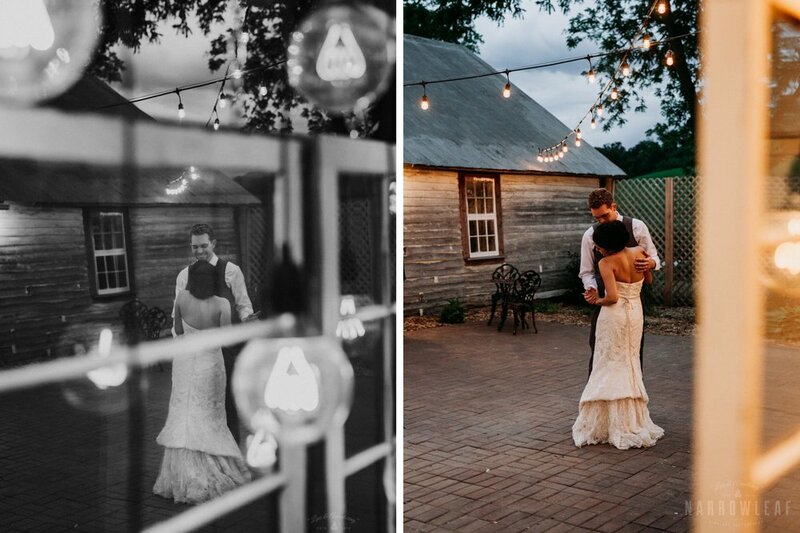 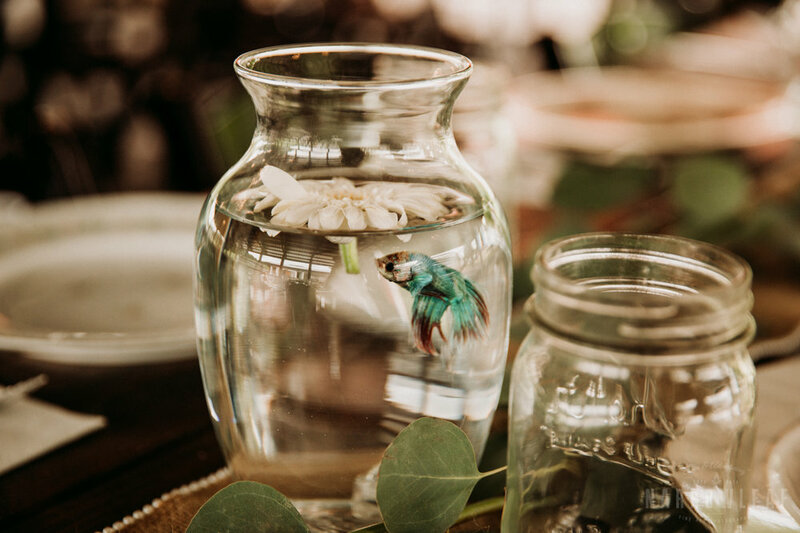 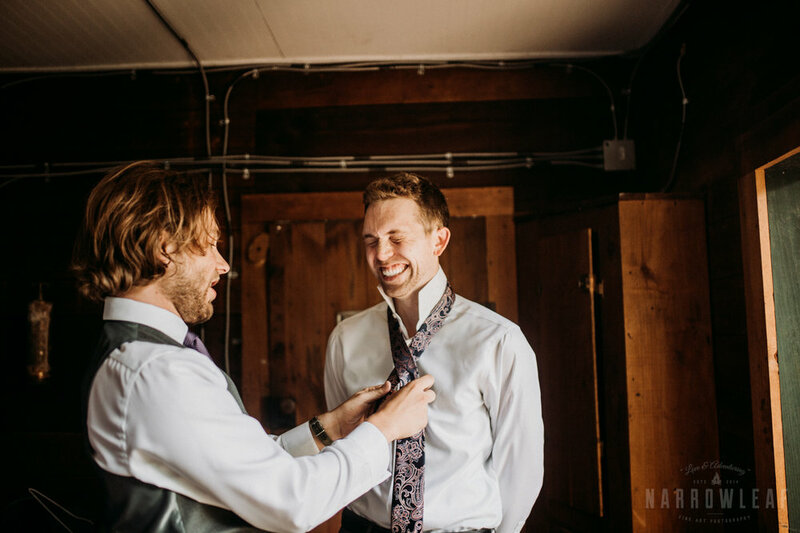 Hope you enjoy a little peak into their trendy Wisconsin barn wedding!